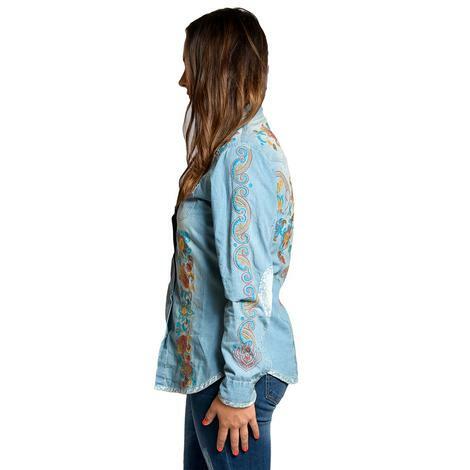 This is the perfect shirt for this season! 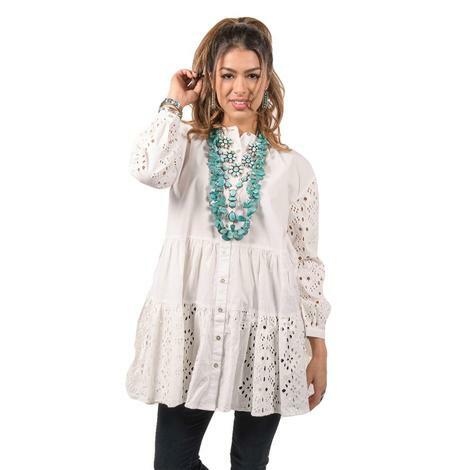 It is a classic white tunic top that matches well with your favorite pair of skinny jeans. 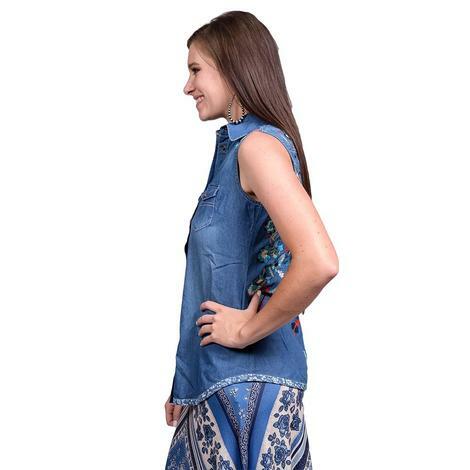 With a stunning cut out design on the sleeves and lower layer. 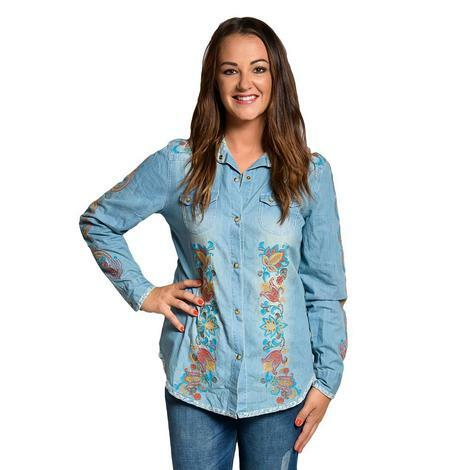 How cute is this shirt! 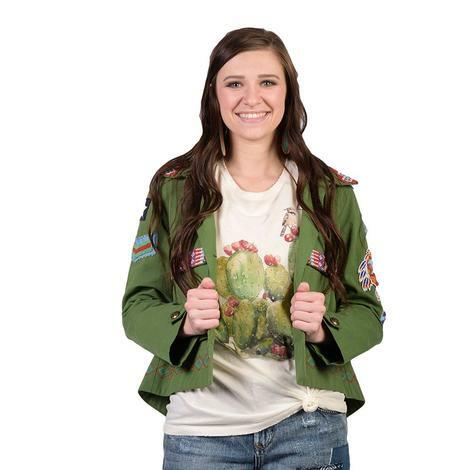 Featuring a sleepy cowboy wearing his sombrero leaning against a cactus. 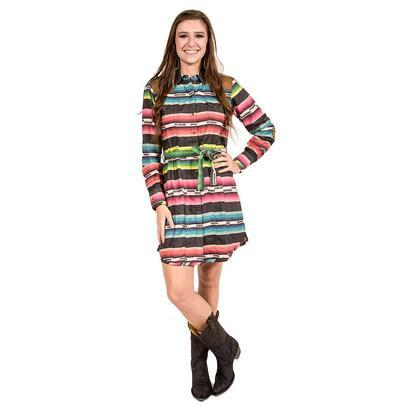 Match this shirt with a fun colored duster and your favorite pair boots to get a fun unique look that will turn heads. 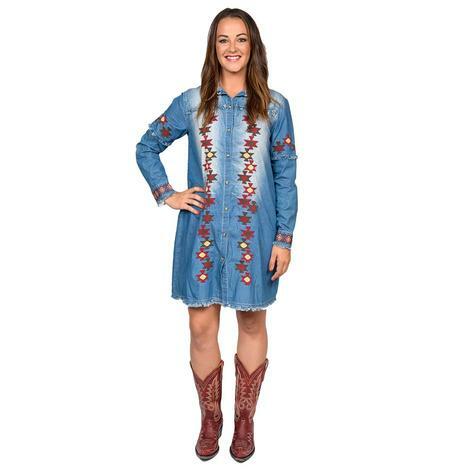 Who doesn't love a cowboy campfire! 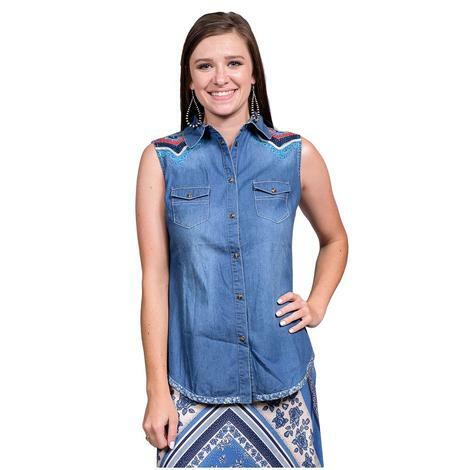 This shirt features a great color pallet and has a great western style. 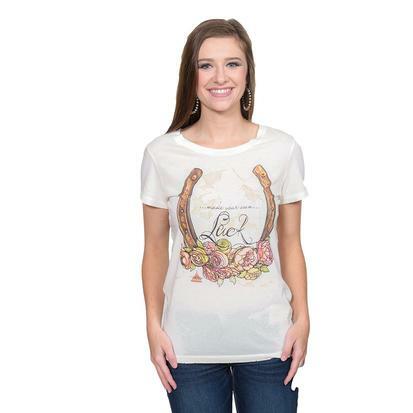 With a crew neckline and short sleeves you will stay cool and comfortable in this tee. 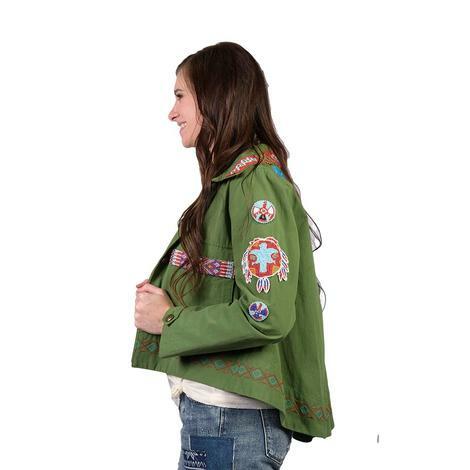 This lightweight Camp Jacket by Tasha Polizzi is perfect for layering up on a Spring day. 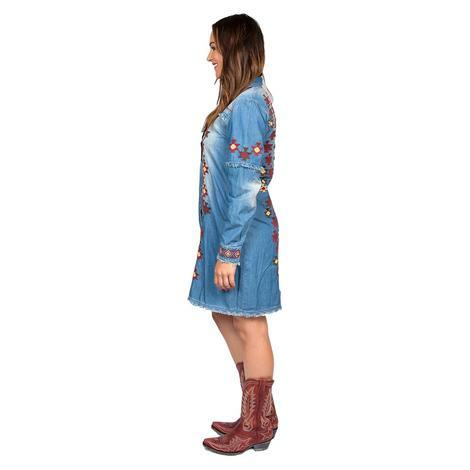 Features include intricate Western-inspired beading throughout, plus patches and embroidered detail. 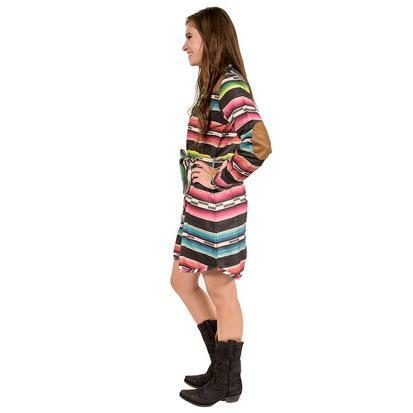 This tunic by Tasha Polizzi is made with 100% cotton, has long sleeves, double chest pockets, a button-up front, and a beautiful bohemian serape design. 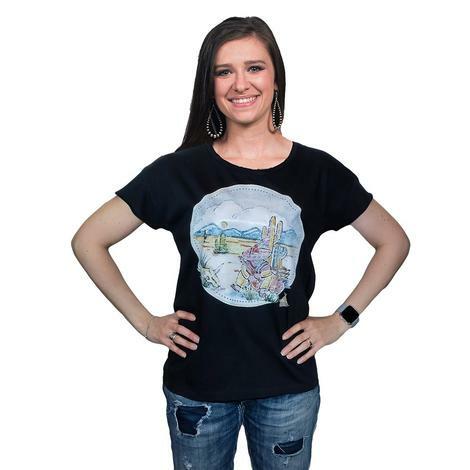 Lightweight short creme cotton cap sleeve tee shirt by Tasha Polizzi features a painting of a horseshoe and roses in vibrant colors. 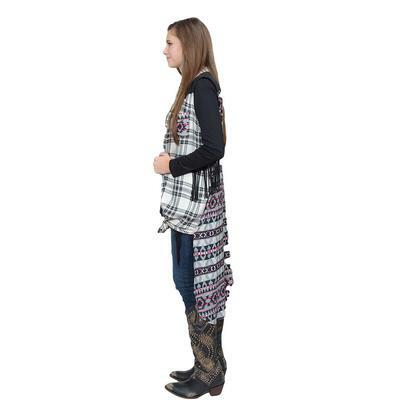 This beautiful plaid maxi duster by Tasha Polizzi is ultra soft and has a plaid pattern with contrasting geometric pattern along the back.